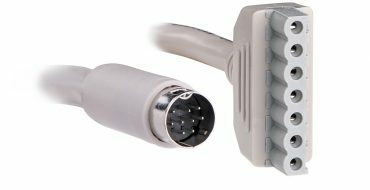 CyberPower Telemetry Cables (FTTx/Telecom Cables) provide connectivity between CyberShield™ DC power supplies and Optical Network Terminals (ONT). 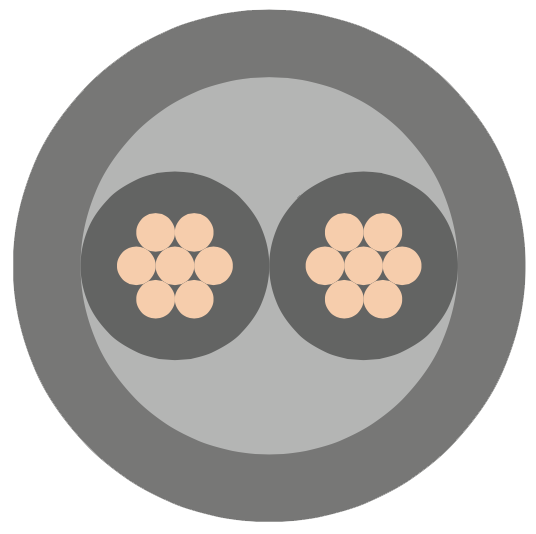 These FTTx cables are specifically designed for ONT, broadband applications, cable telephony, wireless local loop (WLL), fiber to the home (FTTH), VoDSL applications, and Integrated Access Devices (IAD) for customer premises equipment (CPE). 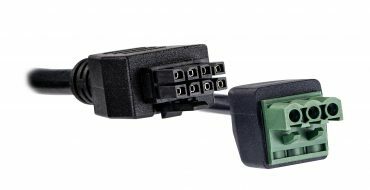 The Power Adapter to Desktop ONT series is 9-pin male DIN to 9-pin male DIN terminated. These cables are designed to connect a power adaptor to a desktop ONT. These black cables are available in a variety of lengths ranging from 4 ft to 50 ft and come with a three-year limited warranty. 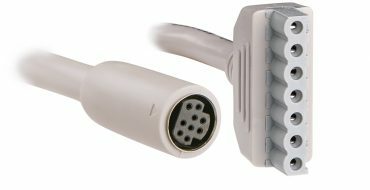 The Power Adapter to Desktop ONT series is 3-pin connector to DC Male Power Connector 5.5mm x 2.1mm terminated. This cable is designed to connect a power adaptor to a desktop ONT. 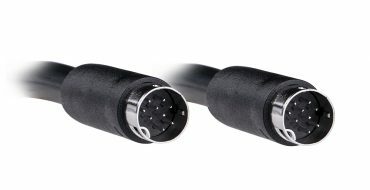 This black cable is available in a 6 ft length and come with a three-year limited warranty. 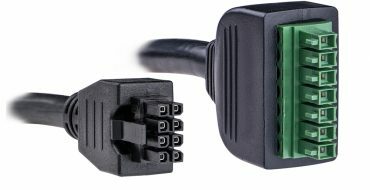 The Power Adapter to Desktop ONT series is 3-pin connector to 8-pin Molex terminated. These cables are designed to connect a power adaptor to a desktop ONT. 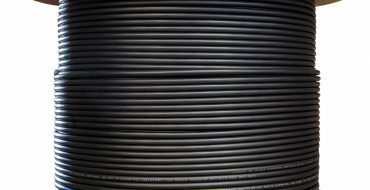 These black cables are available in 4 ft, 6 ft, 10 ft, and 20 ft lengths and come with a three-year limited warranty. The Battery Backup to Desktop ONT series is 9-Pin DIN to 7-wire terminated and unterminated cables. These cables are designed to connect a battery backup unit to a desktop ONT. They are available in 4 ft, 10 ft and 20 ft lengths and are offered in black and come with a three-year limited warranty. 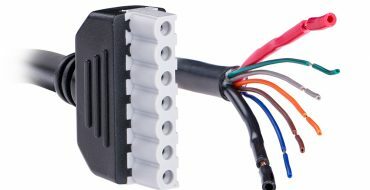 The Battery Backup to 7-pin Connector series is collection of 8-pin molex, 9-pin female DIN, 9-pin DIN to 7-pin terminated cables. These cables are designed to connect a battery backup unit to a 7 pin adaptor. The cables are offered in a variety of lengths starting at 1.5 ft up to 50 ft in length in black and come with a three-year limited warranty. 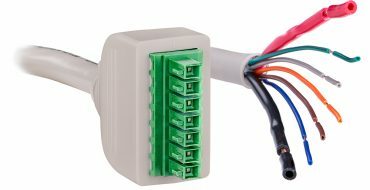 The Battery Backup to 7-pin Connector series is collection of 8-pin molex, 9-pin female DIN, 9-pin DIN to 7-pin terminated cables. These cables are designed to connect a battery backup unit to a 7 pin adaptor. The cables are offered in a variety of lengths starting at 1.5 ft up to 50 ft in length in cool gray and come with a three-year limited warranty. 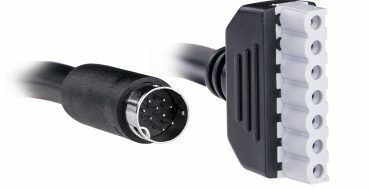 The CBL7PINBUL-0018 cable is 9-pin female DIN to 7-pin terminated. 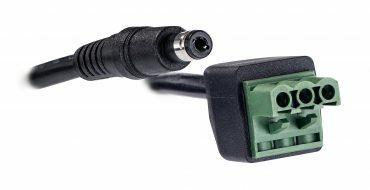 This cable is designed to connect a battery backup unit to a 7-pin adapter. The CBL7PINBUL-0018 is available in 1.5 ft. in length and comes in cool gray. 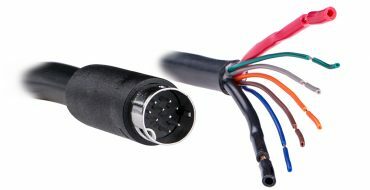 The CBLBUL-020 cable is 9-Pin DIN to 7-wire unterminated. This cable is designed to connect a battery backup unit to a desktop ONT. The CBLBUL-020 is available in 20 ft length and comes in black. 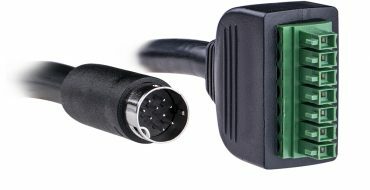 The Telemetry Cable to DC Power Supply series is 7-pin connector to 7-wire unterminated terminated cables. They are designed to connect CyberShield™ DC power supplies to ONTs. The cables are available in 9.5 ft and 31.5 ft lengths and come in cool grey and come with a three-year limited warranty. 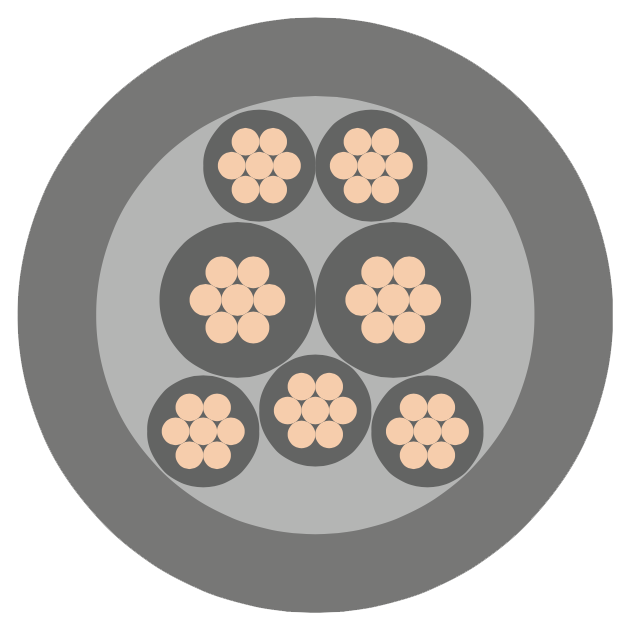 The Single-Family Unit ONT cables are 7-pin connector to 7-wire unterminated terminated. 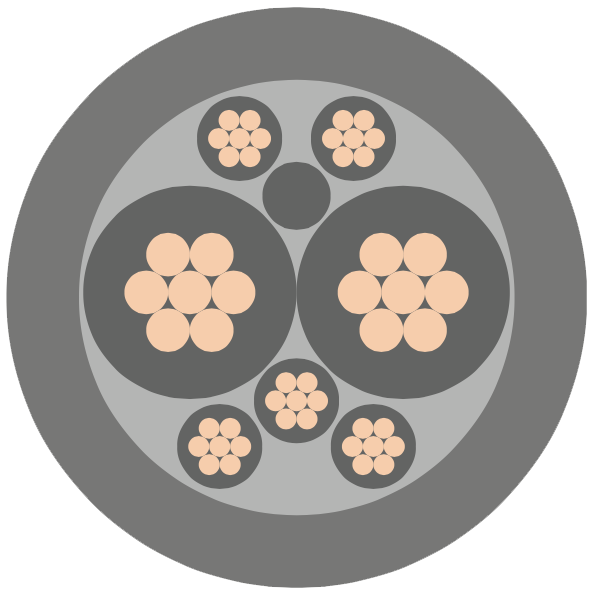 These cables are designed for single-family ONTs. The Single-Family Unit ONT cables are available in 5 ft and 10 ft lengths and offered in black and come with a three-year limited warranty. The Battery Backup to ONT series is terminated and unterminated cables. They used for connecting battery backups to ONTs. 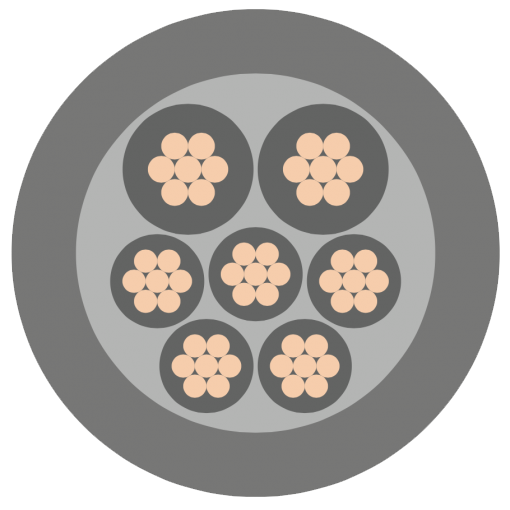 The terminated cables are offered in 5 ft, 10 ft, and 20 ft lengths. 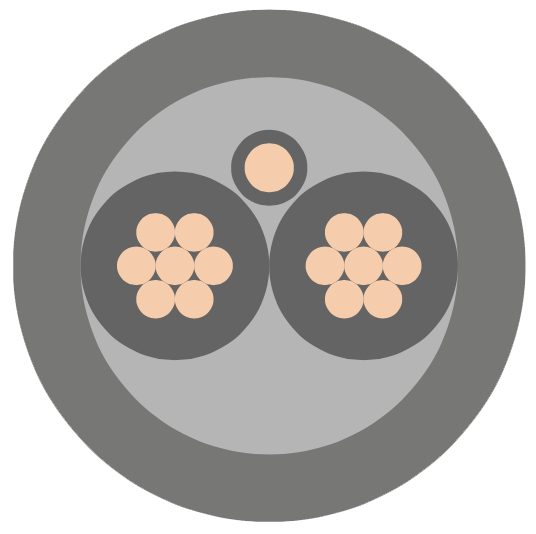 The unterminated cables come in 100 ft, 200 ft, and 1000 ft rolls. Includes a three-year limited warranty. 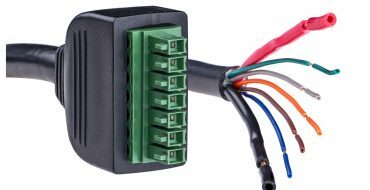 Cables are 7-pin terminal block to 8-pin Molex terminated. 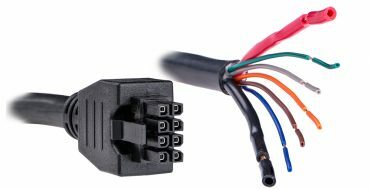 These cables are designed to connect a battery backup unit to an ONT with Molex. It is available in 4 and 10 ft lengths and comes in black. Cable is 8-pin Molex to 7-wire unterminated. This cable is designed to connect an ONT to a battery backup unit. Available in 20 ft length and comes in black. These cables are unterminated. They are outdoor rated and designed for connecting battery backups to ONTs. These cables are unterminated and used for connecting battery backups to ONTs.